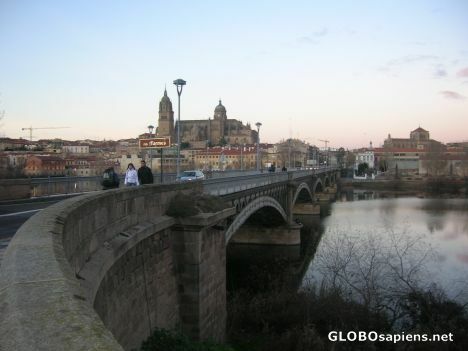 This is one of the bridges crossing the Tormes River. There is another one, much older, built by the Romans over 2000 years ago. We have in Spain a game called El Juego de la Oca (Goose game), related with the Camino, with esoteric meaning, advancing in a spiral, where there are bridges, gooses, jails, wells, shelters, the labyrinth, the skull, the Death, etc.